Unless otherwise noted, all diagrams are copyright Sue Burton, 2017. You may make copies for personal use only. Please contact me if you wish to publish them in any form. Thank you! 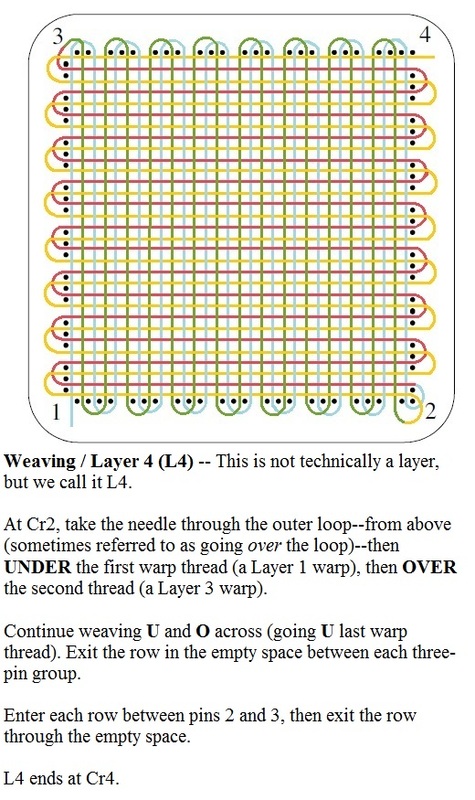 The following diagrams demonstrate three-layer warping on the 4″ x 4″ loom. 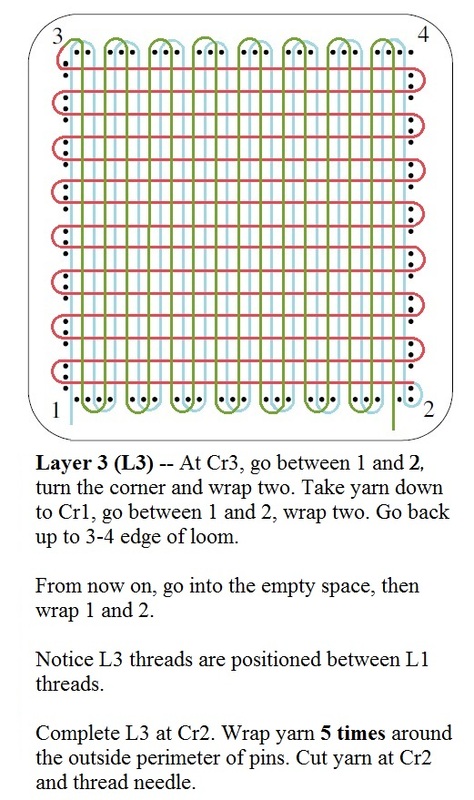 The same method applies to all square and rectangular looms. 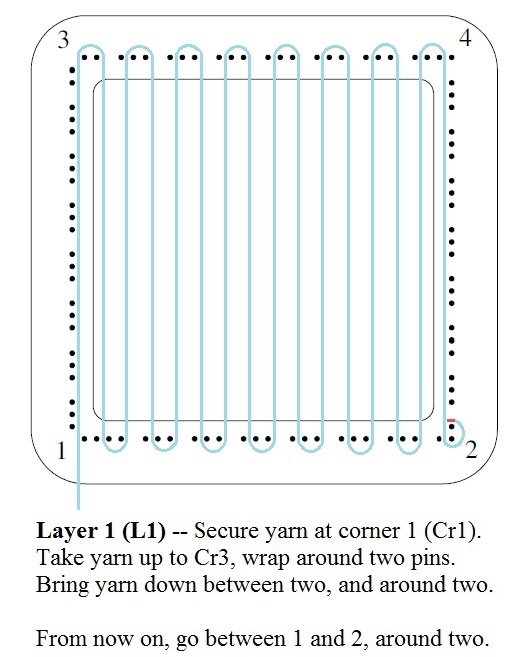 For information on yardage requirements and number of pin wraps for other loom sizes, see the Quick Reference page. For those who want to design their own patterns, I hope you’ll find this diagram useful. 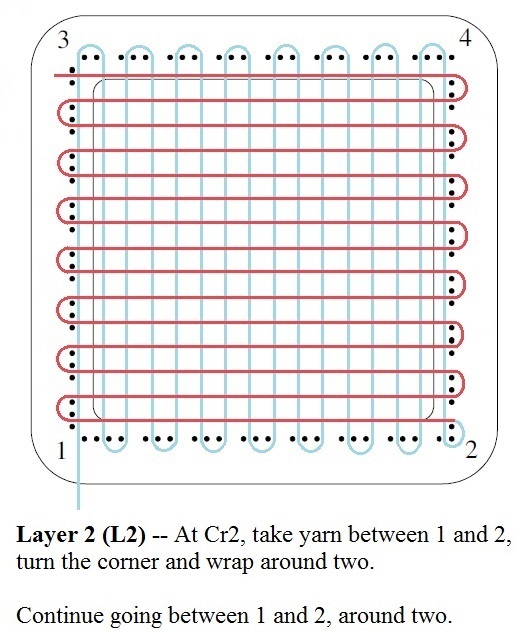 Here is a diagram I designed for planning your own blankets or other projects. If it’s not large enough, you may need to paste several together.